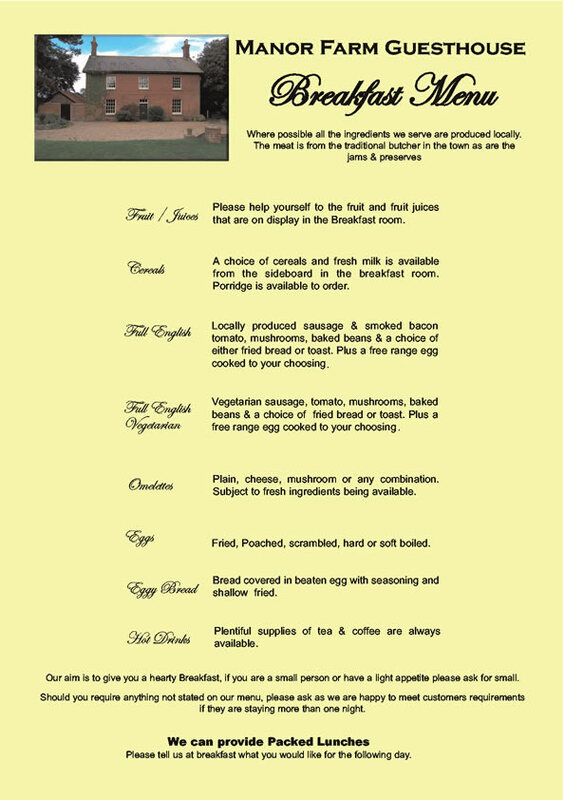 Our aim at Manor Farm is to give you the breakfast you would like. Where possible we purchase localy produced produce and Fair Trade Products. We are happy to accommodate those with special dietary needs if possible, but unless you tell us in advance of your requirements, we will ask you to make a choice from our menu. We offer a packed breakfast for those who need a very early start to the day at no additional cost. We also offer packed lunches to those who plan a day on the beach or a walk in the country. Please pre-book these at least one day in advance.